In 2017, when I moved back to Fort Wayne, Indiana after spending four years living in Dar es Salaam, Tanzania, cycling gave me a community. Now, I want to use cycling to give back to my community. It’s long been one of my core beliefs that the value in life is found in and through relationships. My four years in Tanzania solidified that belief as time and time again, community gathered around itself to care for its members. Sometimes it was me that the community huddled around, bringing soup or driving me to the hospital when I was sick with Malaria or Dengue fever. Sometimes I was the one staying up late to watch other people’s children as they cared for an ill husband or wife, dropping off friends at the airport as they flew across continents grieving the loss of loved ones far away, or just sitting on a neighbor’s front porch listening. Loving our neighbors brings life to everyone involved. 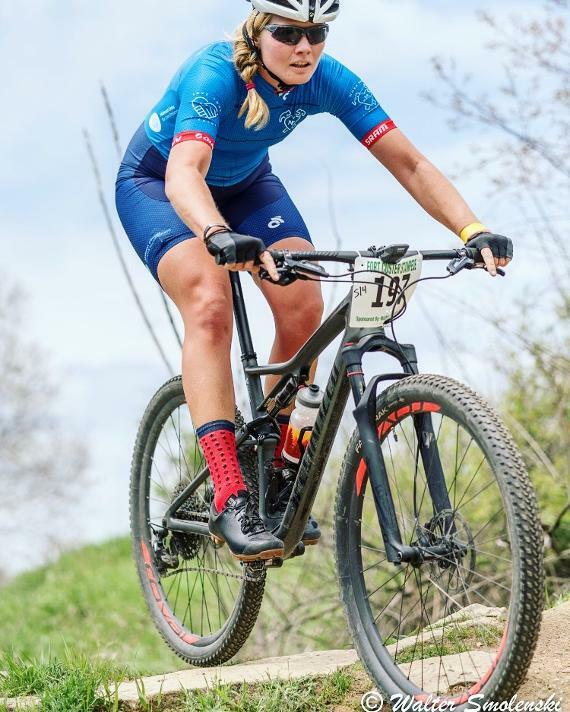 That’s why, when I started racing mountain bikes in the summer of 2017 and had the opportunity to represent Neighborlink Fort Wayne, even in an “unofficial” way, I jumped. Neighborlink Fort Wayne exists solely for the purpose of connecting people—of helping neighbors help neighbors. They give athletes the opportunity to use their athletic pursuits as a means of furthering this goal by representing the organization and raising funds for certain projects. In the past, I’ve merely represented Neighborlink Fort Wayne and volunteered at various projects (roofing, raking leaves, etc.) as I was able. This year, as I’ve become more settled in Fort Wayne (a full time job, starting the house-hunting process, etc. ), it is my desire to become even further connected with my city, my community. I also have a fairly ambitious race schedule lined up this year, including USA Cycling’s Cross Country Mountain Bike Nationals in Winter Park, Colorado (assuming I qualify) and two of the 50-mile EpicRides races where I’ve once again signed up for the Pro/Cat 1 division. In order to connect these two things, I felt it was time to jump in with both feet and commit to becoming a Team Neighborlink Ambassador, committing to raising funds for a specific project, being a part of the execution of that project, and continuing to spread awareness of Neighborlink Fort Wayne as I race. 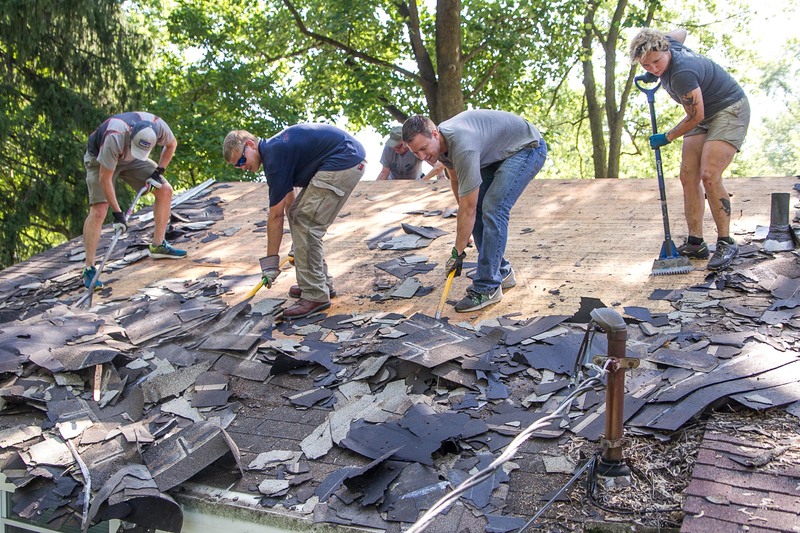 Last summer, one of the projects that I had the privilege of volunteering on was a roofing project, where a team of Neighborlink Fort Wayne staff and volunteers replaced the roof on a neighbor’s home—ensuring she would stay warm and dry as summer faded into the colder months. This year, I would like to fund a similar project. The 2017 Summer Roofing Project during “Be a Good Neighbor Week” that I helped with. I’ve chosen a roofing project because it is a project that, in addition to just fundraising, gives opportunity for me to give of my time and effort as Neighborlink staff and volunteers (me! Maybe you?) come together to help out a neighbor—and hopefully get to know them and share a bit of life in the process! Expected project expenses are between $2,000 and $2,500 for the roofing materials and a dumpster, so my goal is to raise $2,500 to fully fund a roofing project this summer. Will you join me? I’ve started off the project with an initial $100 investment, and plan to continue giving as I’m able each month. Once we raise the funds and identify the specific project, I’d love to have you join me in the process of actually replacing the roof as well! Let’s love our neighbors together this year.